According to Kids.Net.Au, the definition of kids drama is "the quality of being arresting or highly emotional"; "an episode that is highly turbulent and emotional" including the traditional definition that is popularly known to all that drama is "the literary genre of works intended for theater". In 1979, the founder, Helen O'Grady created a vision - "Development Through Drama." 33 years later, her program is still the only international children's program of its kind! Drama allows your child to experience safely within four walls - ideas, emotions,verbal and physical expressions in each lesson; some of which they may not engage in their lifetime. These experiences lead them through highly creative and imaginative moments that allow development to take place at the child's pace - the ability to communicate effectively and speak confidently, to think and problem solve creatively, to build teamwork and leadership life skills such as critical thinking, time management, conflict management as well as negotiation skills. This program does not stop at development just for children; it is also a platform for adults - young, mature and seniors. Desserts galore! 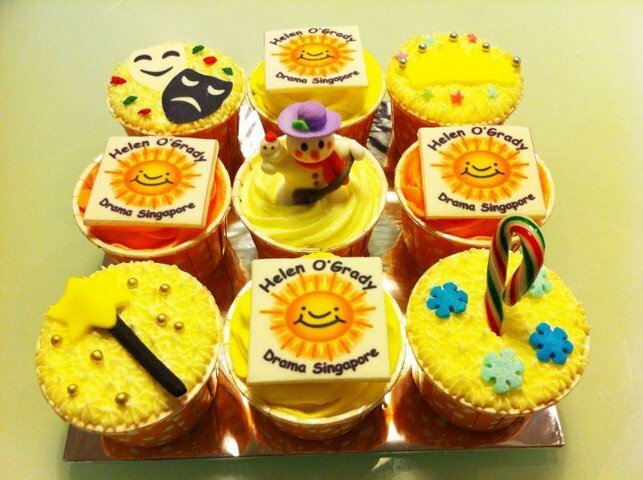 Yummy yum yum... Jean Chan, Principal of Helen O'Grady Singapore bakes such delightful looking cupcakes. It is a wonder why we are all staring! It's a sight to behold and of course, truly very tasty! But that's not why the children join the Drama Academy! 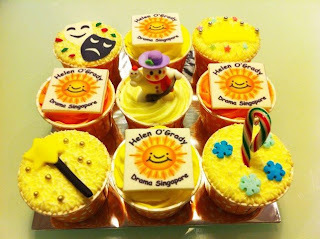 Like these individual cupcakes, Jean and her teachers treat every child with the same tender loving care. 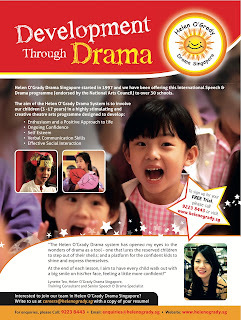 Children are encouraged to develop through drama at their own pace. Our trained specialists uses the Helen O'Grady drama curriculum to draw out the children's natural gifts and extend their multi-talents; challenging them to improve year after year.